Update Sept 2016: We are moving to twice-monthly Sunday meetings at Great Lawn (Lowry) for two reasons. First, attendance is decreasing and meeting every other week may assist people in their decision to attend. Second, most fields that we frequent are overrun with organized sports but Lowry is NEVER used. Once organized soccer has stopped (November - April) we will stitch back to rotating between these four locations. Until then, we will meet at Lowry on the first and third Sundays. Third Sunday: Great Lawn at Lowry. Lowry and Yosemite St. (111 Yosemite St., Denver on GPS). We fly on the north side of park. Park on the frontage road. Update May 2015: We have stopped using our Meetup Site and now rely on this site to provide information to new fliers in the Denver area. At the time we closed the Meetup Site we had over 200 members. Please subscribe to our Yahoo Groups to get weekly emails on field status. In general, we go to the same field each Sunday of the month (i.e. 1st Sunday we always go to Stapleton, 2nd Sunday we go to Longmont, 3rd Sunday we go to Lowry & 4th Sunday we go to Thornton. This association supports all genres of Kiting. Kite Fliers; Single Line, Dual Line (Sport, or Stunt kiting), Quad (4-line "REVOLUTION"kiting), Fighters (India, Pakistan, Afghanistan, etc. fly these one line kites in competition, as seen in THE KITE RUNNER movie). Indoor Kiting without wind is becoming very popular. Lightweight Quad, Sport, and Fighter kites are used for this, also Wala Aerobe kites, which glide well. Single Line Kites (1 string): As shown in the two pictures here are excellent to tie & watch. In addition, we fly gliders on low wind days. Dual-Line Kites (2 strings - Pull on the left and the kite turns left, etc): Most members have dozens of dual-line kites that are flown depending on the wind speeds. Indoor are flown when there is no wind. Super Ultra Light (SUL) kites are flown when the winds are extremely light (1-3 mph). Ultra Light (UL) kites are flown when the winds are light and variable (1-5 mph). Standard (Std) kites are flown when the winds are solid and consistent (5-12 mph). Vented kites (mesh for a sail) are flown when the trees are bending and hats are flying (rare in this area). Quad-Line Kites (4 strings attached to two handles - Top of handle is POWER, bottom of handle is BRAKE): REVolution kites dominate this genre of kites. 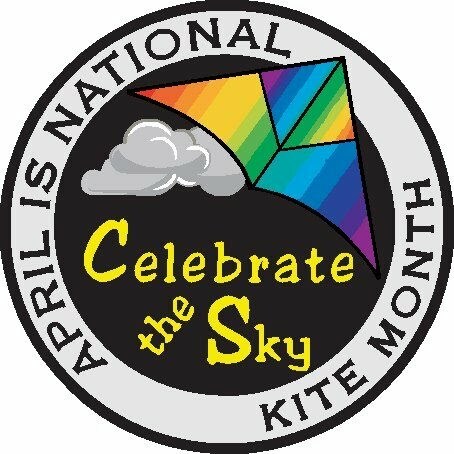 Quad line kites allow the pilot to control the kite to the point that they can touch the tip of the kite on the tip of your finger from 120 ft away. Quad-line kites are very popular and once you fly one you will understand why! Power Kites: Several members fly the quad-line Power Kites. There are fixed bridles that are used for pulling across grass or lake-beds and depower kites that are used for lifting (i.e. watch them jump and break their ankles!) Quad-line fixed bridles range from 1.8 meter^2 in size to greater than 10.8 meters^2. NASA Power Wings of even large size are often flow as well. Depower kites are typically 6 m^2 and up. Different sizes are used depending on the current winds. Kite Board (similar to skate boards and flying depower kites): We have several active kite borders that join us each week flying various sizes of depower kites. Snow Board (Riding on skis or snow-boards and flying depower kites): Dillon and Frisco in the mountains are popular for this type of kiting. k-long ride on Ivanpah Dry Lake Bed. The 12 x 3 mile lake is as close as riding on concrete as you will find. Without the friction of grass, the buggys can easily break 50 mph. The speed record of 82.9 mph occurred on this lake bed in 2010. We also have water Kiteboarding but limited. We have kiters travel to Lake McConnaughy Nebraska in the summer. We had Meetups there and would like to do more. First Sunday: Central Park in Stapleton. We fly on the North side of Martin Luther King Blvd (8999 Martin Luther King Jr Blvd., Denver on GPS). In the East field near the pond. Second Sunday: Sandstone Park in Longmont. We fly on the South side of Hwy-119, just past King Chevrolet (115 Pratt St., Longmont on GPS). In the north field. Park near the skate park. Fourth Sunday: Thornton Trail Winds Park. 136th Ave and Holly St. (13385 Holly, Thornton on GPS). We fly on the east side of park. Park in the middle lot. Friday Night Flights (4pm to dusk): Central Park in Stapleton. We fly on the North side of Martin Luther King Blvd (8999 Martin Luther King Jr Blvd., Denver on GPS). In the East field near the pond.